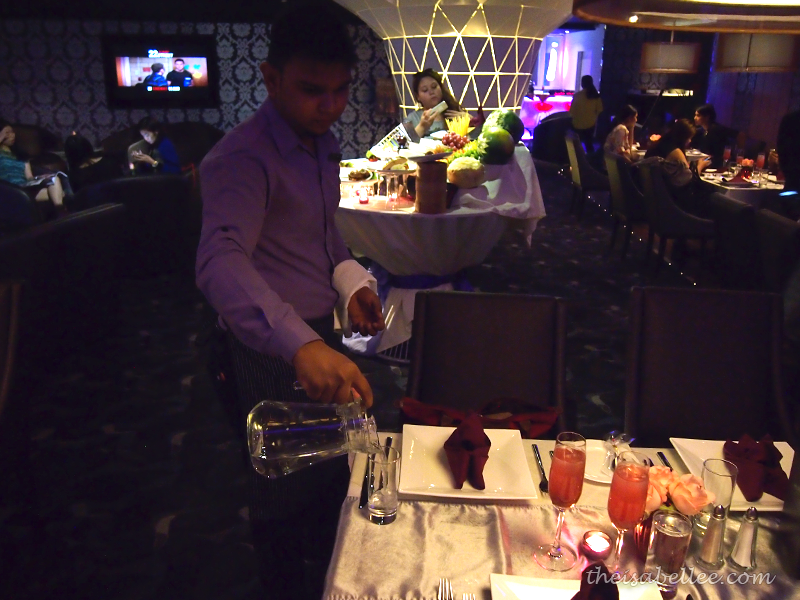 INDULGE in a new experience, unique and different from the others at TGV Indulge! 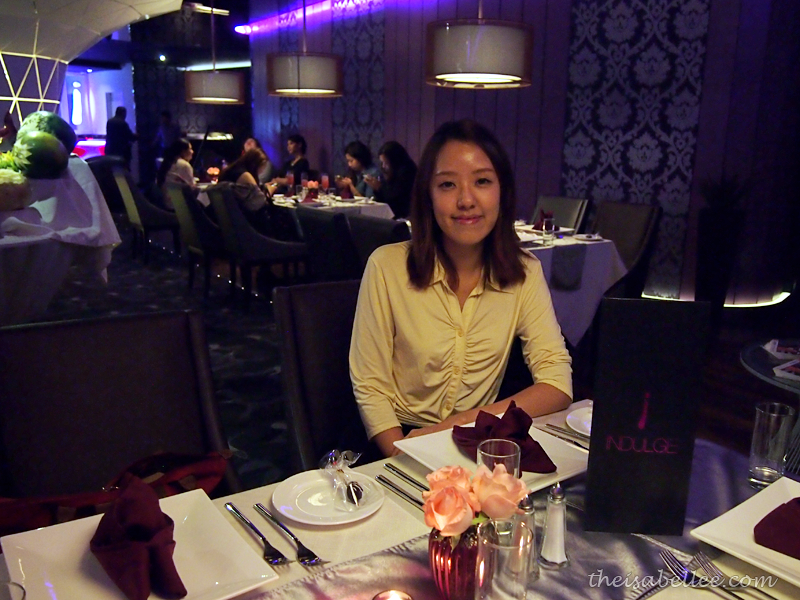 With its own counter at TGV Indulge, you need not queue up with the other halls and treat yourself to some VIP-ness. 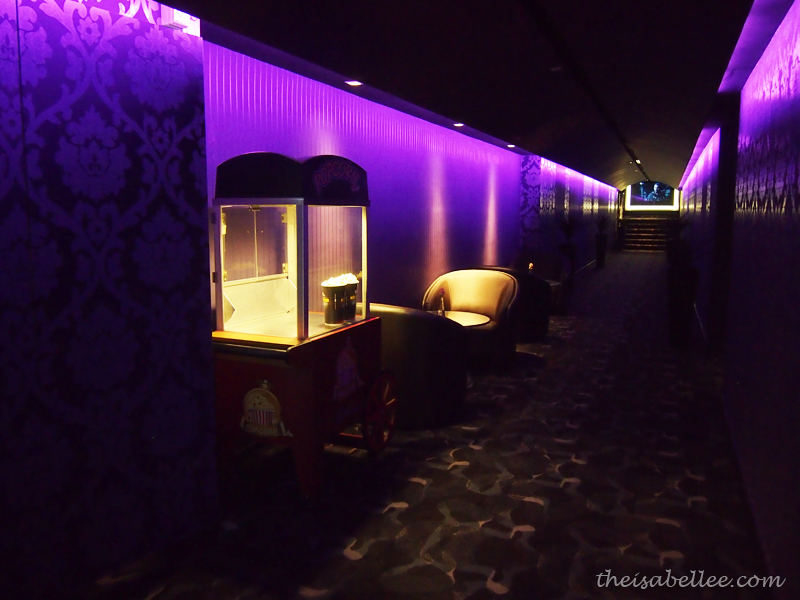 Are you ready to see what the TGV Indulge cinema looks like? Ta-da! Each patron gets a reclining chair, a small table, their own fluffy blanket and a button with which they may call for the waiter. 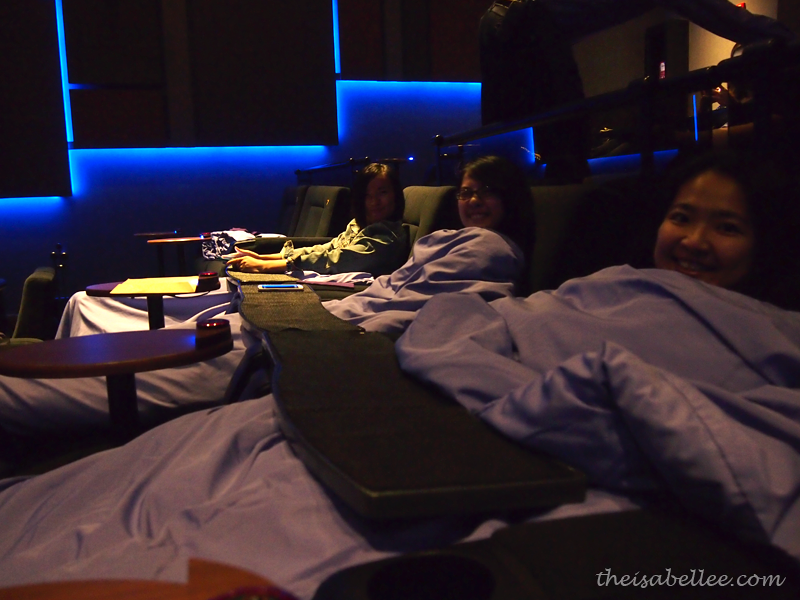 The blankets are kept clean with daily washes and it was certainly one of the most comfortable cinema experiences I've had so far. 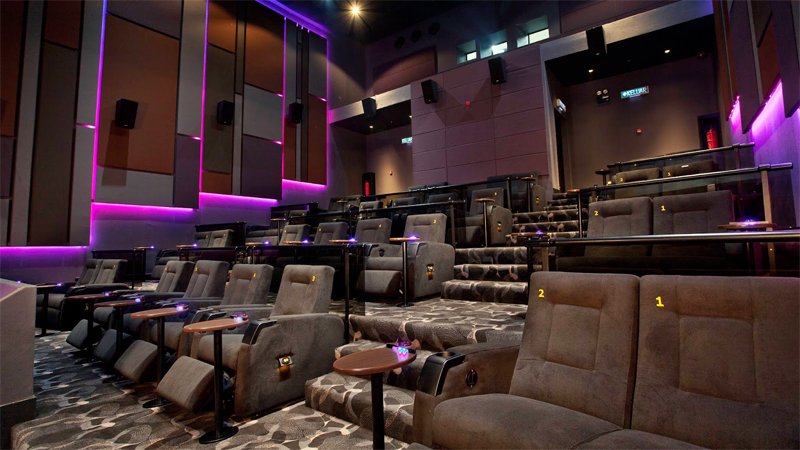 Food in cinemas are no longer limited to popcorn and nuggets! Items from the restaurant may be brought in with a bento box. Food such as steak or chicken are cut into smaller pieces for easy eating. Now back to the restaurant.. 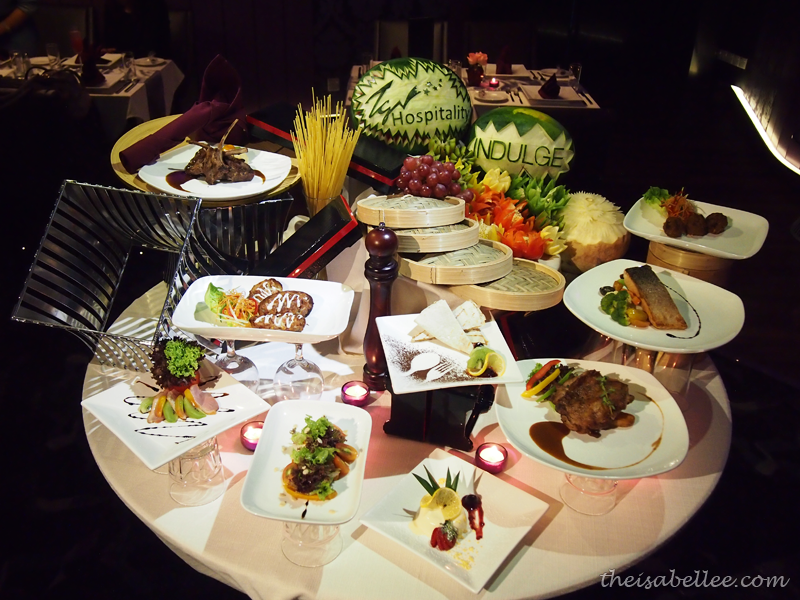 Treat yourself to classy fine-dining with jazz music softly playing in the background. There are proper tables for eating and coffee tables with sofas. 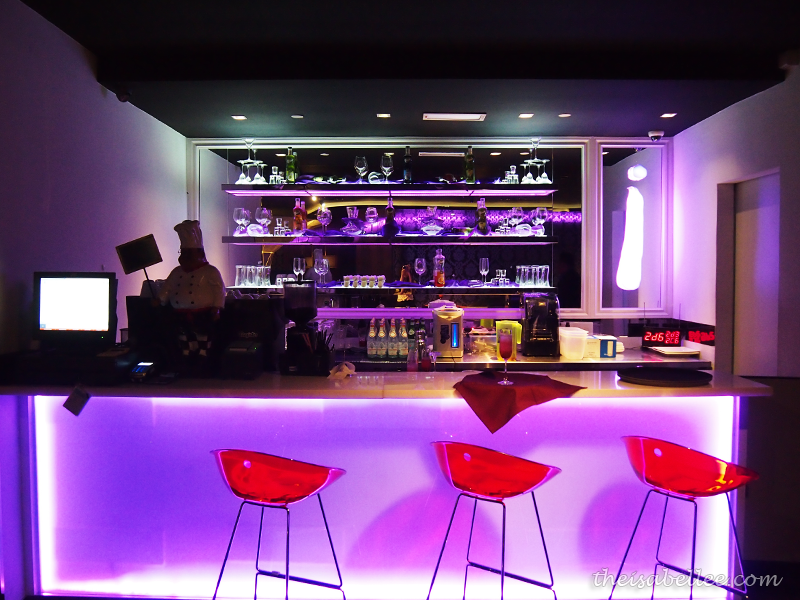 If you fancy, you can opt for a drink at the bar. Surprisingly, the price is kept reasonable with nothing over RM 30, considering the type of food they serve and the look of the place. No complains about the portion size. You can see it for yourself below. 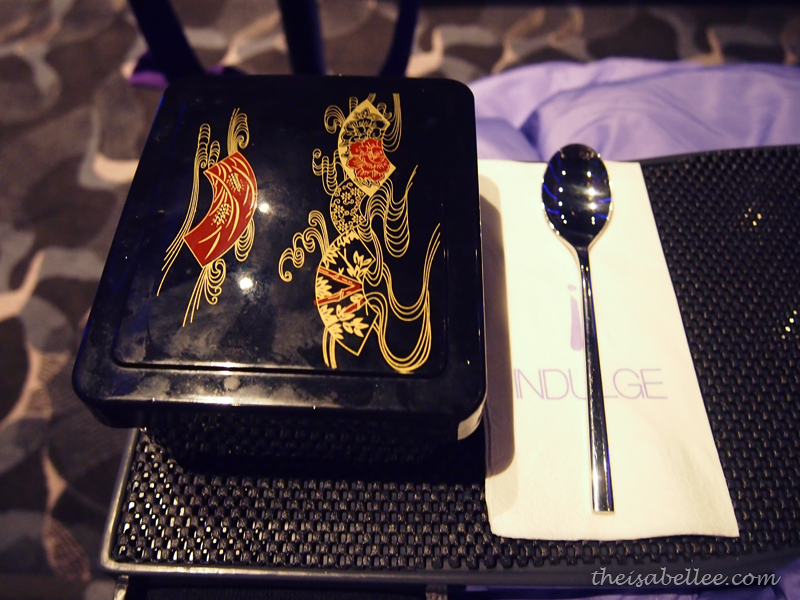 Excellent service provided by the Indulge staff will leave you happy to be dining here. Rocket leaves, honey roasted pumpkin, cherry tomatoes and capsicums. 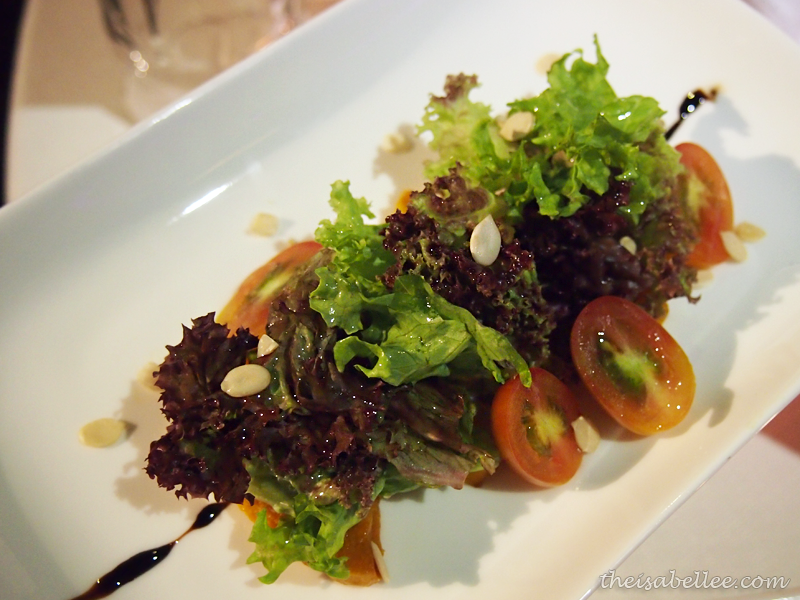 I especially enjoyed the generous Balsamic dressing with the crunchy salad. 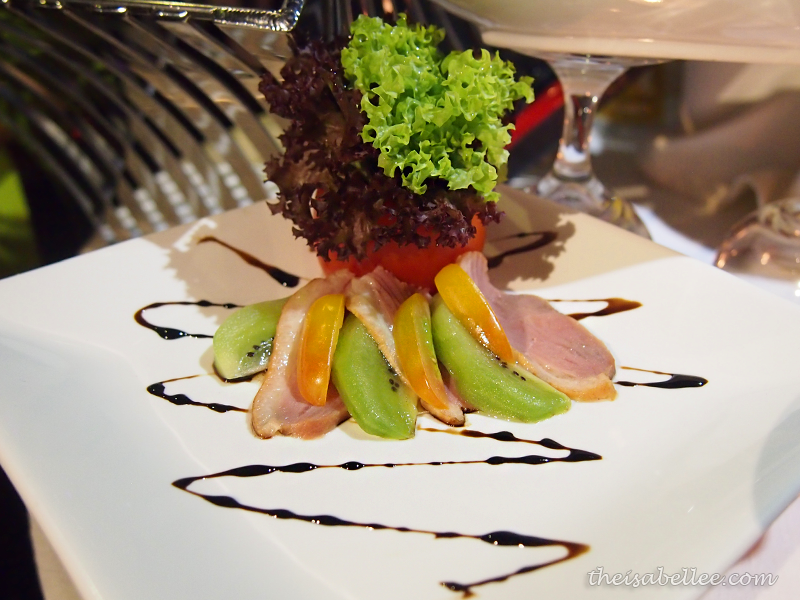 Smoked duck breast served with mesclun greens, capsicum, & skewed with kiwi and balsamic vinegar. 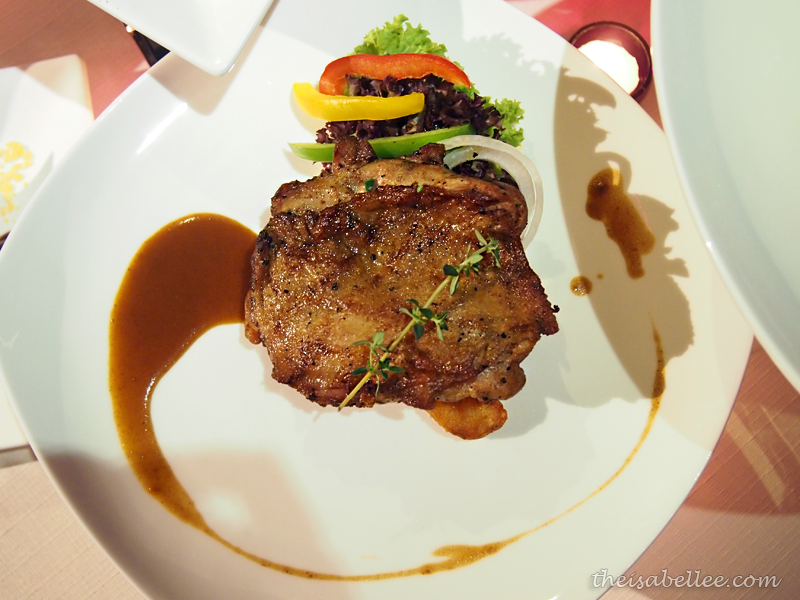 The duck had a moderately smoky flavour but it was enough for a starter, without potentially ruining your main course. 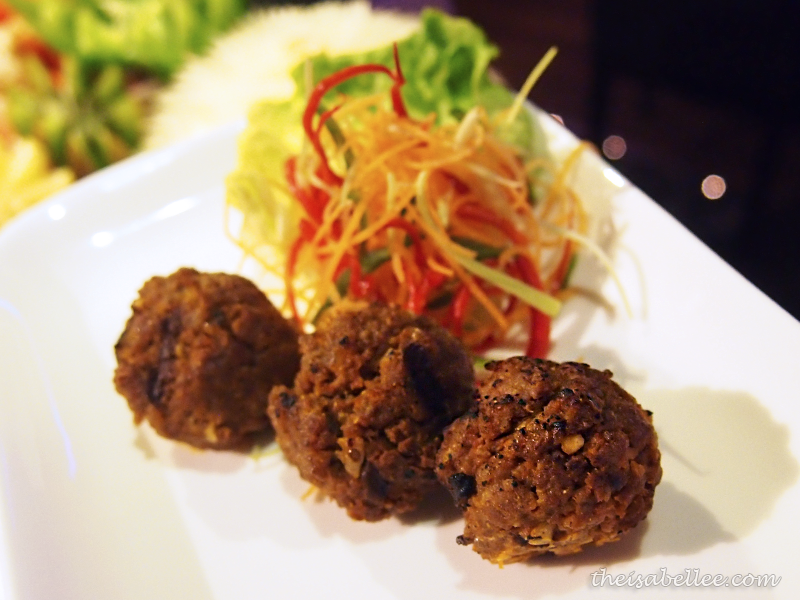 The round balls of lamb patties had a heavy taste of tumeric and were absolutely delicious. They were slightly salty but alright when paired with the green salad. This was one of my favourites of the night - potato skins stuffed with turkey bacon and mozzarella. 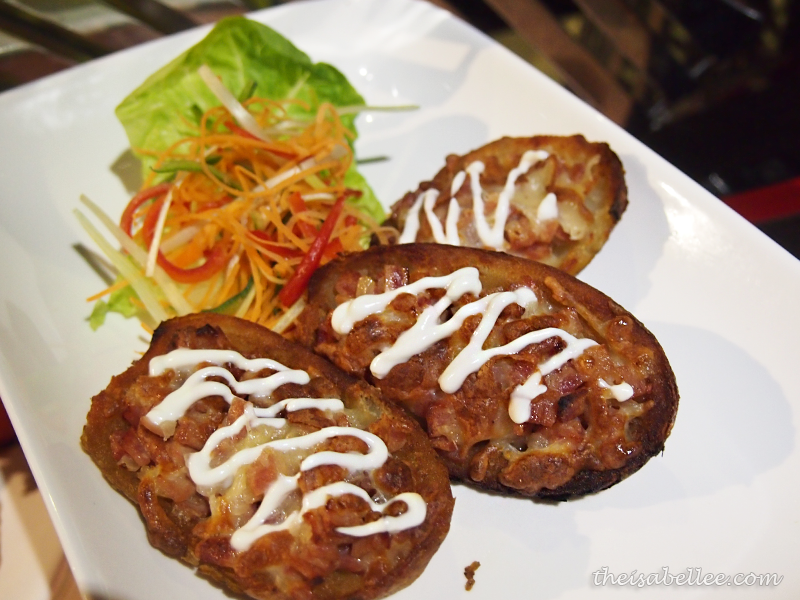 The crunchy potato matched with the savoury bacon was so simple yet so delectable. I recommend you to tapau this into the cinema! This was another favourite at the table. The boneless chicken thigh was perfectly grilled to give juicy and soft flesh packed full of flavour with Cajun seasoning. Yum! I absolutely loved this. 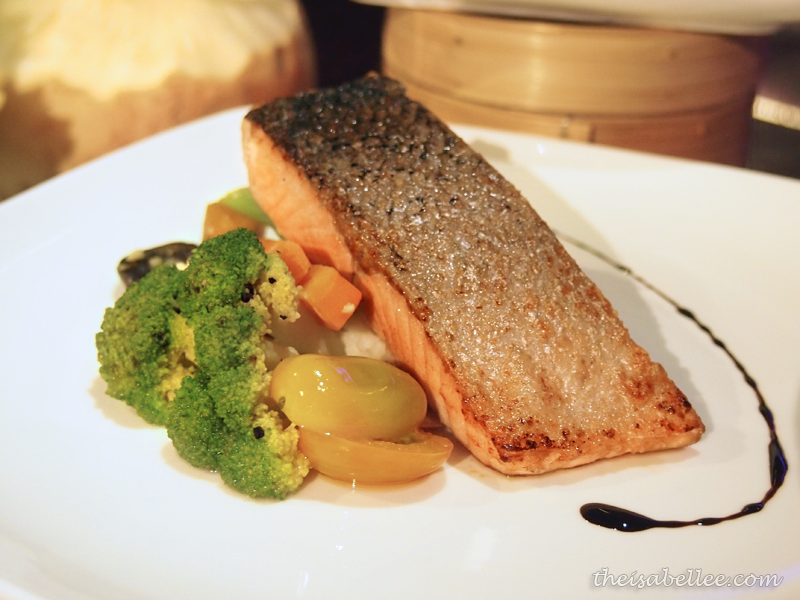 A thick slice of salmon resting on mashed potatoes with vegetables on the side. I did find the salmon slightly dry but nothing the lemon butter sauce couldn't fix. It was fresh and not fishy. I also liked the mushrooms in the greens. 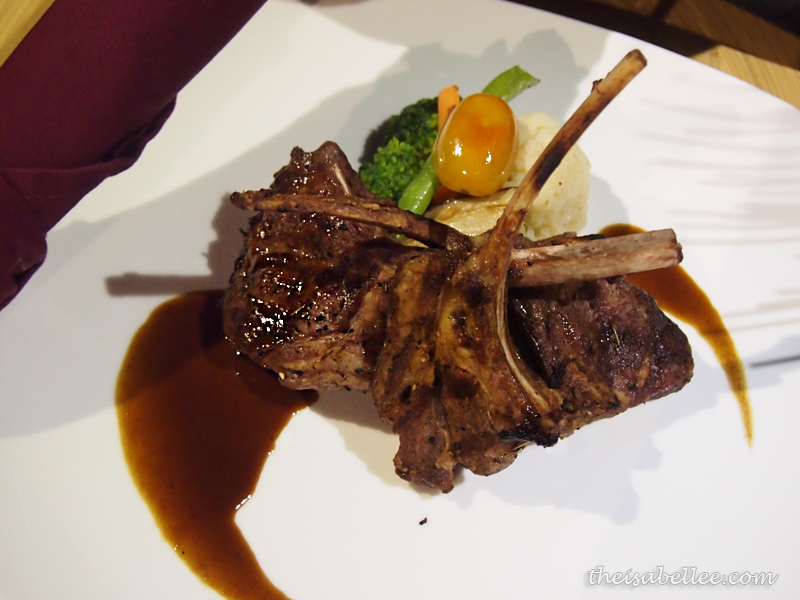 Treat your date with this platter of lamb rack with seasonal vegetables and rosemary sauce. Just the right amount of bite and not too dry. I'm usually sensitive towards the taste of lamb but this was actually quite tasty. 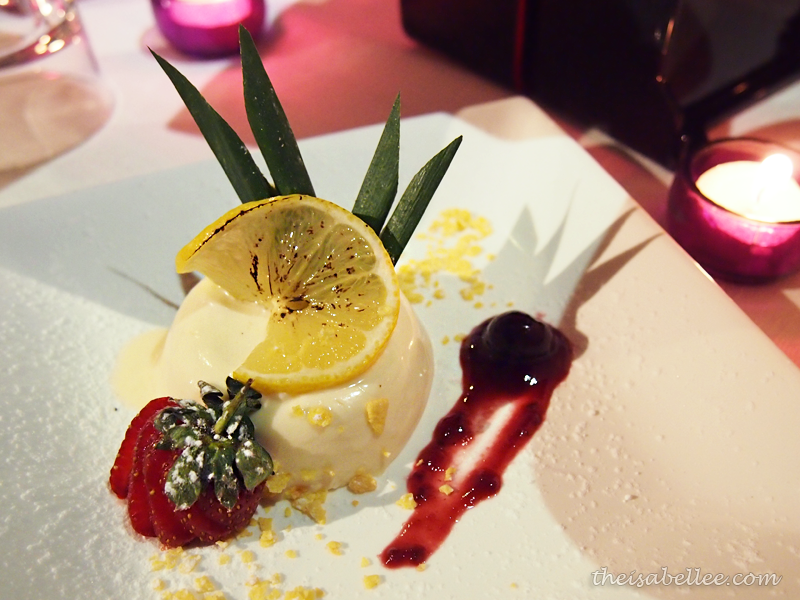 Thick Italian cooked cream topped with fruits. 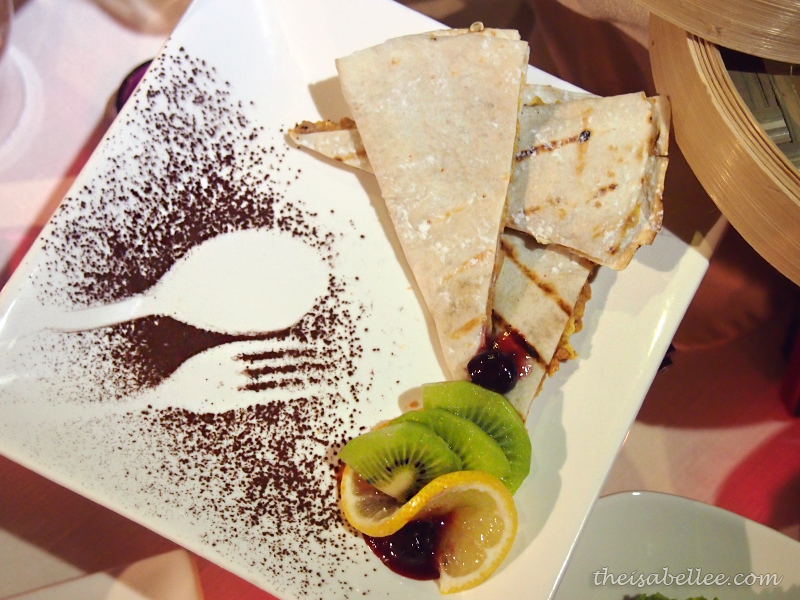 I enjoyed it with the raspberry puree. Only wish they had more raspberry! This dish had me scraping the plate to pick up every bit. Tortilla slices filled with peanut butter, cornflakes and freshly sliced banana. I found the tortilla too tough and potentially messy to be eaten in the cinema hall. However, I do like peanut butter and appreciate the combination of textures. 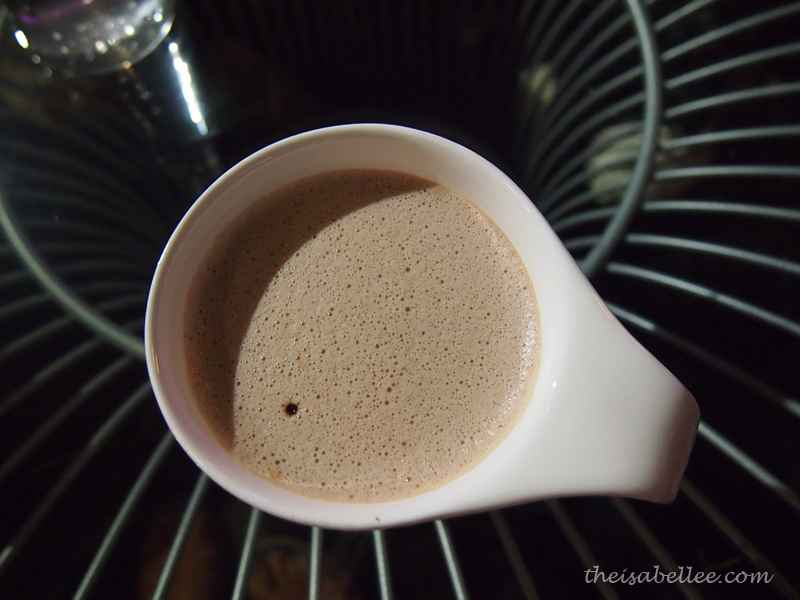 Ended the night with a cup of hot chocolate (RM 9) and small talk with the girls. Never thought I would say this but hanging out at this cinema was fun! 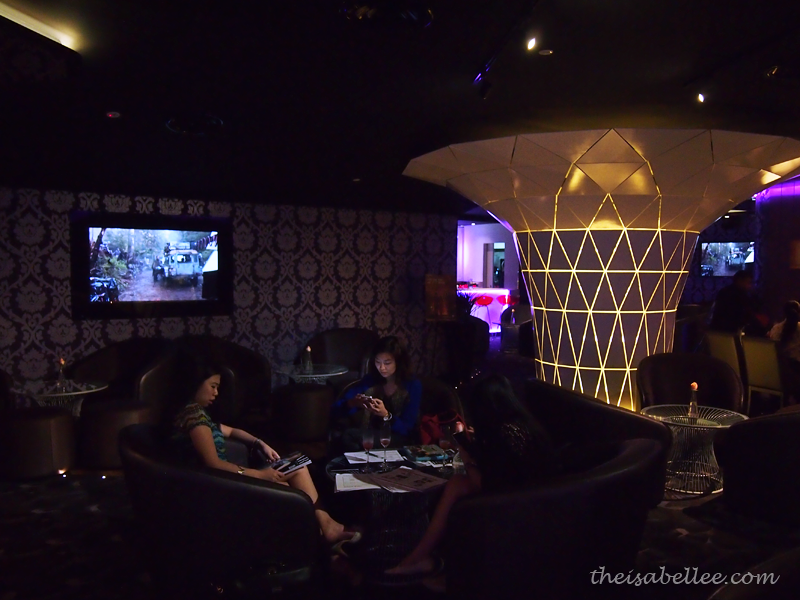 Indulge is a perfect meal & movie combined in a posh environment. 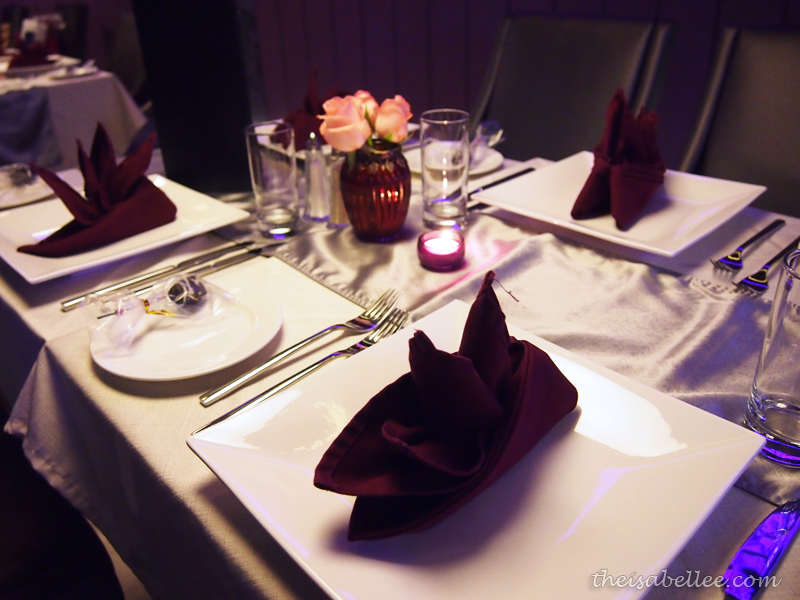 Suitable for dates, families or even to have a meal with clients. 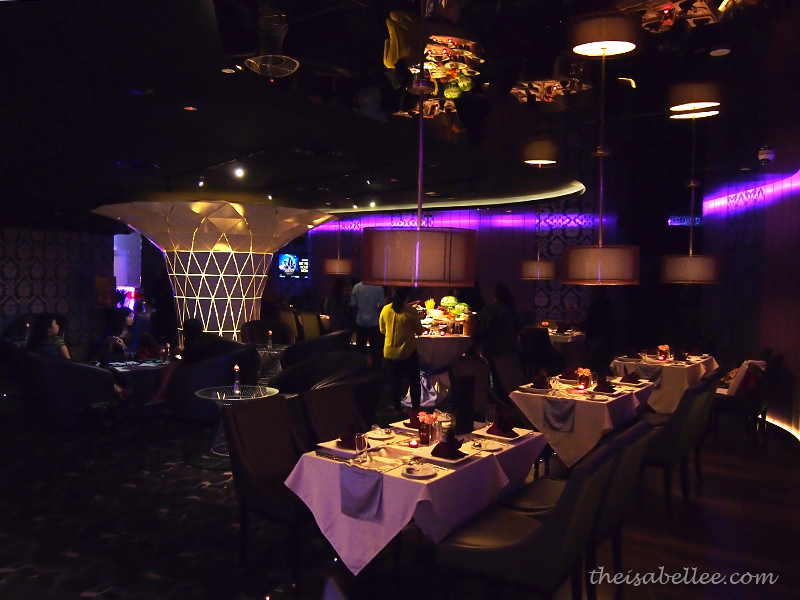 They also provide space for events, product launches and company dinners. For more info or to book tickets at TGV Indulge, log on to www.tgv.com.my or download the TGV Cinemas' Movie Buddy app on Apple App or Google Play Store. 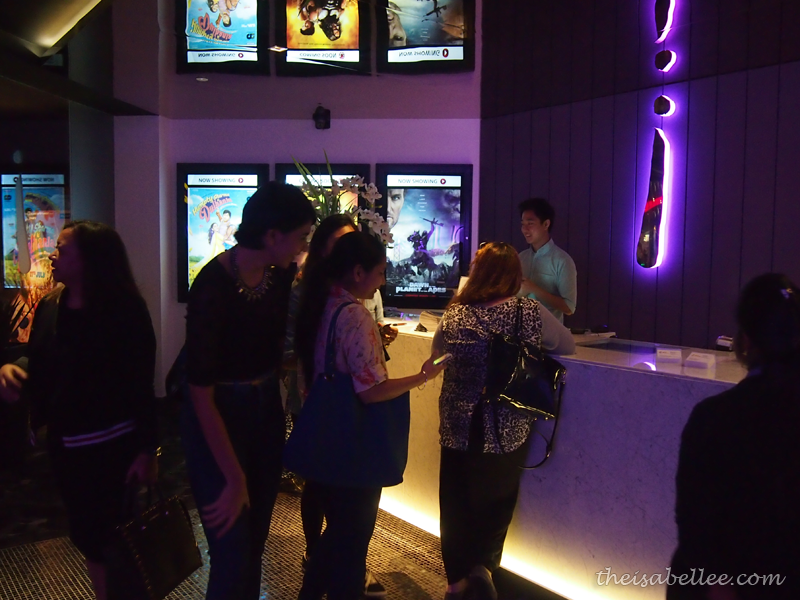 TGV Indulge movie tickets are RM 45 per seat. Yeah! 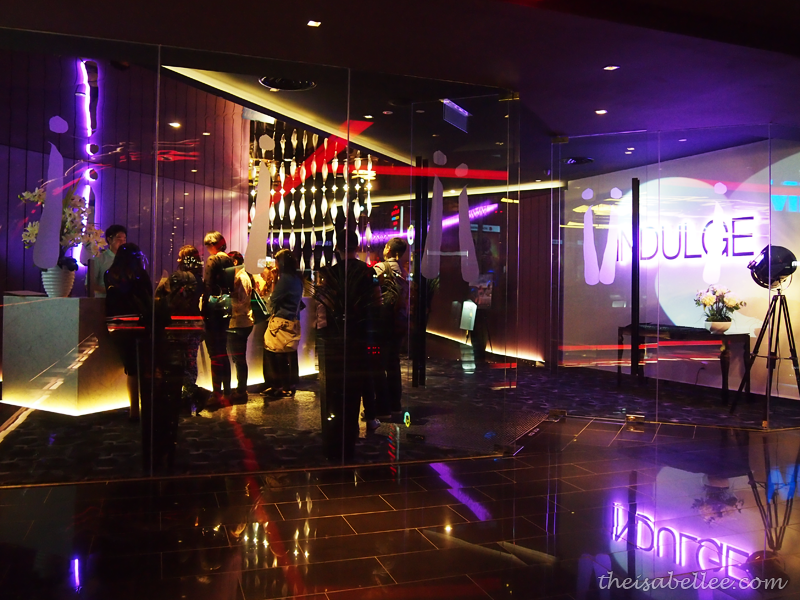 Hard to believe it's a cinema xD Must try the cajun chicken and potato! Tried it once. really comfortable!